A neo-colonial former coffee finca in Rio's boho chic Santa Teresa, exuding ethnic Brazilian swag through interiors and art. An indulgent getaway with glorious modern spa, fantastic cuisine, and unrivalled service, in an arty laid back part of town. UNder 12s stay for free in parents' rooms and babysitting on request. 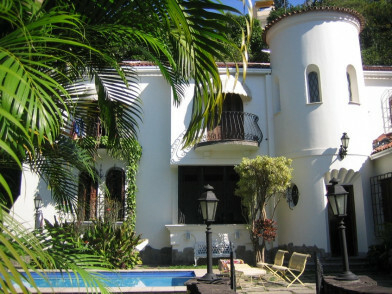 Check out nearby Chácara do Céu, a small museum based in an old mansion house with an eclectic selection of contemporary art. Splugre in the trendy monthly Rio Antigo Market. 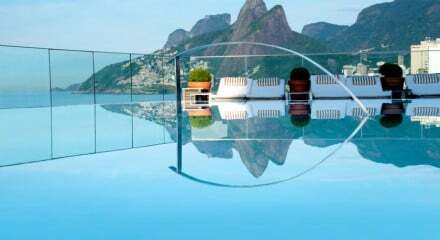 Spend a lazy day at the poolside bar admiring the awesome views up to the mountains and down over Guanabara Bay. Visit the Selaron Steps, one of the most iconic attractions in Rio and the work of Chilean artist Jorge Selarón. Warm up at the trendy hotel bar, then hop in cab to Lapa for Rio's hottest choro music spots. 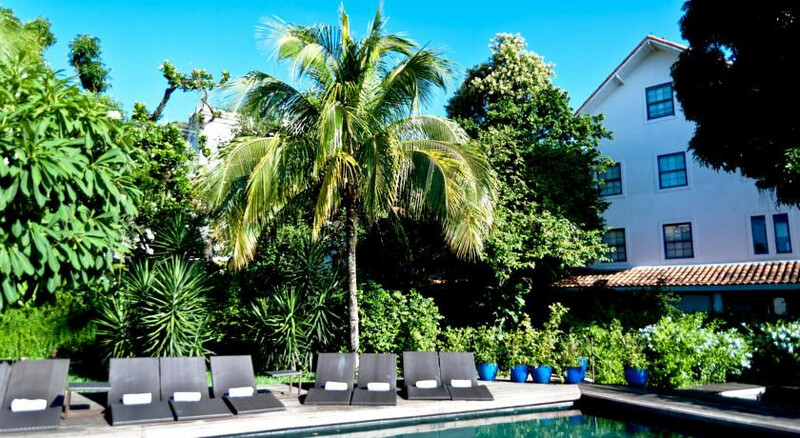 "The Hotel Santa Teresa has the air of a hillside retreat, but packs in all the amenities of a five-star hotel, including one of the city’s best spas."